Xiaomi has launched its latest Mi Band 2 fitness and sleep tracker in India. Priced at Rs 1,999, the second-version of Mi Band will be available on the company’s official website mi.com from September 27 and later on Amazon India’s website from September 30 midnight. As for specifications, the Xiaomi Mi Band 2 features 0.42-inch OLED display that shows health information like heart rate count and steps taken. The band also tracks the wearer’s sleep. The fitness band, according to the company’s global vice president Hugo Barra, can last up to 20 days on a single charge. It sports a hypoallergenic silicone band and is IP67 rated that makes it water resistant. According to the company, Xiaomi Mi Band 2 features a military-grade ADI accelerometer, an anodized 0.05mm button on top of the oval display to move through different menu options, and second-generation Bluetooth v4.0. The new Mi Band will alert users about incoming calls, notifications and alarm. It will give a vibration alert just like its predecessor Mi Band. The band weighs 7 gram and measures 40.3mm length, 15.7mm width and 10.5mm in side width. It will be available in Black, Blue, Green, and Orange colours. Xiaomi’s latest band can sync with smartphones running on Android 4.4 and above, iOS 7 and later versions. 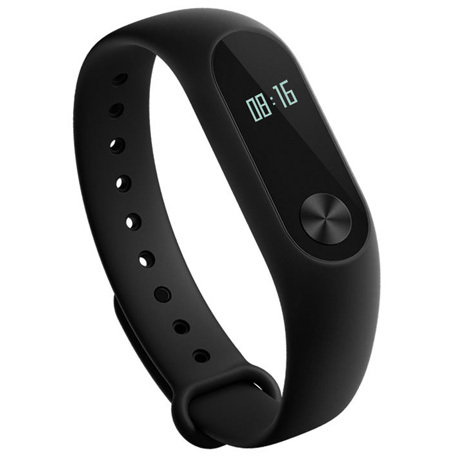 Xiaomi lauched its Mi Band in India in April 2015 at a price tag of Rs 999. Xiaomi today also launched the Mi Air Purifier in India at Rs 9,999. The Mi Air Purifier 2 is the cheapest air purifier available in the country so far and is also the company’s first smart home appliance to launch in India. The second-generation Mi Air Purifier 2 can be controlled via an app and has a built in Wi-Fi which connects to the home Wi-Fi network. The app ‘Mi Home’ helps monitor the air quality inside/outside a user’s house in real-time. Enabled with three settings ‘auto’, ‘night’ and ‘manual’, it can be managed remotely via the app. The app also includes features like automatic notification for changing the filter and custom settings for the functioning of the air purifier.